Bring some class and dignity to the election process and vote for Grandma! Hot liquid added to this heat-sensitive, black 11 oz. 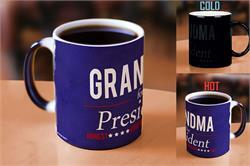 mug causes the hidden text, “Grandma for President” to appear. Someone so honest, hard-working and fun deserves a nice gift. 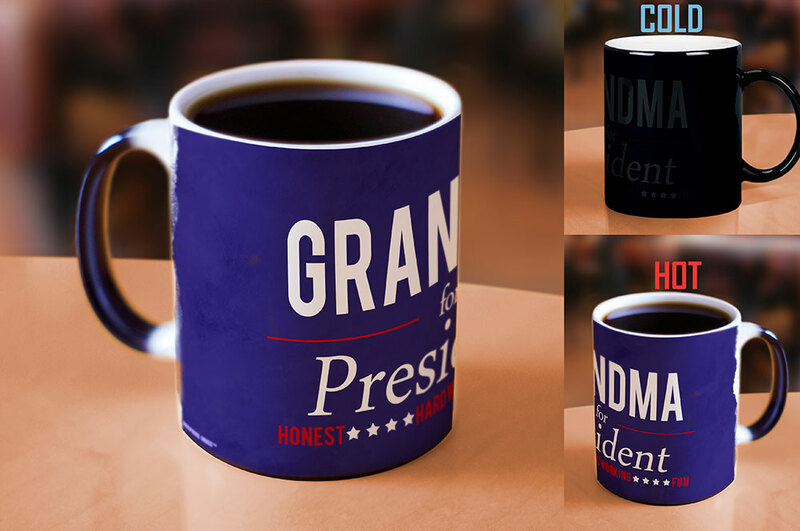 You can’t buy her vote- but you can buy her this mug!